Various players across the NFL have knelt, sat, or raised a fist while the national anthem plays — but the Cowboys are not likely to do the same. In a radio interview with the Dallas-Fort Worth radio station 105.3 The Fan, Cowboys owner Jerry Jones said he opposed those actions. 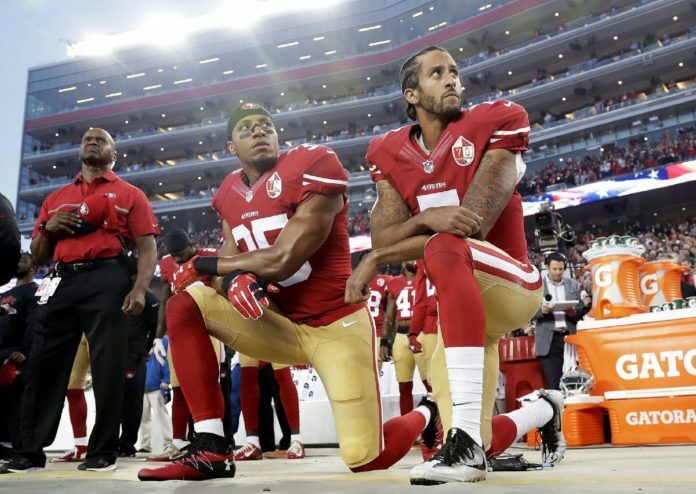 While that was all Jones said on the subject, he was quoted in a UConservative article as saying any Cowboys player who does not stand for the anthem would be kicked off the team. Multiple sources, including running back Darren McFadden, discredited the report. “He hasn’t come in and said that to us personally,” McFadden told NBC Sports Radio. “It’s just important for me to go out there, hand over my heart, represent our country and just be thankful and not take anything I’ve been given and my freedom for granted,” Prescott said during an interview with Yahoo Sports.